3) Discrete methods such as finite element analysis. • Sheet pile wall assumed to be a vertical beam. The bal- ancing of forces determines the values at the reaction locations from which the depth of penetration and the anchor force are derived. Shears and moments are then computed providing the data for selection of the sheet piling “beam” section. After this, the anchor or bracing system is designed using input data from these previous determinations. Cantilevered walls generally never con- sider the flexibility of the sheeting; anchored walls use Rowe’s moment reduction methods to consider wall flexibility. • Soil forces are assumed to follow Rankine, Coulomb or log-spiral distribution and failure. A sheet pile wall sup- ports vertical earth fill, which attempts to fail along inclined planes, influenced by gravity. The soil resists this attempted failure by its inherent shearing strength, which is motivated by friction or by cohesion between the soil particles. In the case of driving forces, the later- al pressure is reduced from vertical pressure by a coef- ficient Ko or Ka, and increased in the case of resisting forces by a coefficient Kp. Earth pressures can be estimated by utilizing equations (Rankine or Coulomb) or by graphical means. Additional influential factors include surcharge loads, ground water, seepage, external horizontal loads and earthquake. • End fixity of the sheet pile wall assumed to be complete- ly free or fixed, depending upon the theory being used. Although other methods have been developed to analyse sheet-piling walls, classical methods have been successfullyused to design many successful sheet pile walls. One of the appeals of classical methods for sheet pile design is that the calculations can be done by hand. For many years, this was the only option. However, even classi- cal methods can present computational complexities that invite the use of computer assistance. 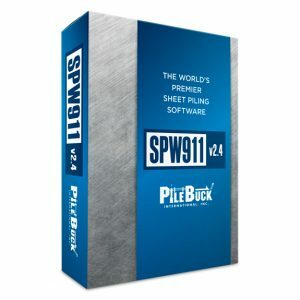 One computer software package that can be used for this purpose is SPW 911 v. 2, which is available from Pile Buck. 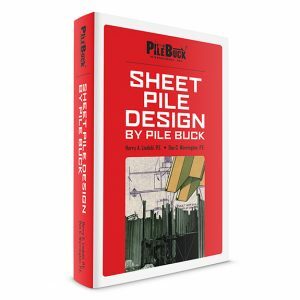 This analyzes both cantilevered and anchored sheet pile walls using classical methods described in this book. In the example problems included below, we will include solutions for these problems using SPW 911. 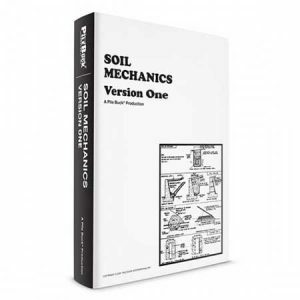 This book has discussed the traditional application of soil properties toward estimating driving and resisting forces against flexible retaining walls. Having determined these forces, the structural analysis of the retaining system can be accomplished. • The ground surface profile extending to a minimum distance of 10 times the exposed height of the wall on either side. o Strength parameters for each layer to a depth below the dredge line not less than five times the exposed height of the wall on each side. • Magnitudes and locations of surface surcharge loads. • Magnitudes and locations of external loads—ice, wind, impact, mooring, earthquake, waves. • Groundwater elevation on each side of the wall and seepage characteristics; Tidal elevations. Estimate weight from field density determinations or from laboratory measurements. Use saturated weight for active pressures above the water level and submerged weight below. Use moist or dry weight for passive side above any water level and submerged weight below. For all layers of soil in-situ or proposed as fill, estimate from field density (SPT) tests, indexing and classification tests, or determine from laboratory shear tests and Mohr cir- cle diagrams. φ angle selected for design should approxi- mate that expected long term, in the structure. For conservative designs, ignore the affect of friction between soil and wall for both active and passive cases. This generally means that Rankine theory should be applied. For non-conservative designs, assume d as a fraction of f, or use the values given in Table 5-1. When δ/φ > -1/2 for the passive case, Coulomb coefficients may be unrealistically high unless a log spiral analysis is used. Adhesion between wall and soil is a phenomenon equiv- alent to friction between the two. Adhesion cannot be counted on for the longer term and is generally ignored. • Estimate from field tests such as either the SPT, Dutch cone, vane shear or from observations. • Measure from unconfined compression test (c = 1/2 qu) • Obtain from triaxial test data and Mohr Circle. For dredged bulkheads, (soil left in place) the profile of the in-situ layers should be examined since sloping layers may affect the analytical approach to be used. Sloping ground behind or in front or in front of the wall will have an effect on the slope of the failure surface and ultimately the pressure coefficients Ka and Kp. Working bulkheads supporting parking facilities, marinas, marine terminal and similar operations are planned for a level back- fill and the angle β = 0. Land sited walls in conjunction with highways, railroads, private and commercial properties may exhibit sloped con- ditions on both active and passive sides. These slopes and most often positive slopes but could occasionally be nega- tive. If slopes are plane, Coulomb or Rankine equations can be used. If irregular, wedge analysis will produce more accurate pressure determinations. It is common practice to include as a minimum, a uni-form live load of 200-300 psf to account for materials stor- age and construction machinery near to the wall. 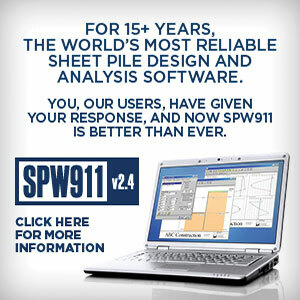 SPW 911 has as a default a uniform live load of 200 psf. Generally, heavy surcharge loads from raw material piles should be kept well back from either the wall or the anchor system so as not to influence wall pressures. If this is not possible, the load should be supported on a deck and bear- ing piles. 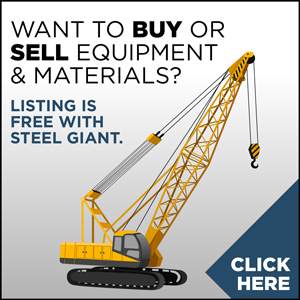 Heavy track-mounted cranes should be supported on piles so that possible settlement will not affect their opera- tion. 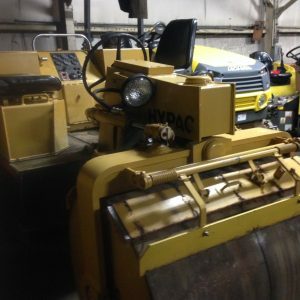 Marine handling equipment and trucking operating on rigid paving within the failure wedge can be accounted for as a uniform live load, however in the case of unpaved or light flexible pavement, heavy wheel loads may have to be separately treated as point loads. 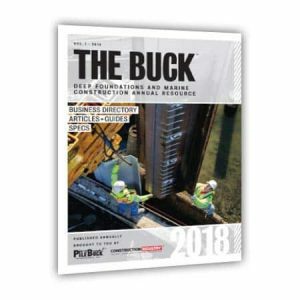 Loads from long footers, rectangular spread footings, roadways and railroads that would influence total pressure on the wall should be examined as line or strip loads using methods outlined in the section on surcharge loads. In gen- eral, surcharges should be discounted when calculating pas- sive resistance. Horizontal loads from irregular surcharges are best analyzed by the wedge method. Formulas for esti- mating lateral pressures from surcharges are found in 8.1.1. Ice is usually not a factor with solid bulkheads, however the pressure exerted by freezing water and floating ice should be considered in designing free standing walls such as cofferdams and shear walls. Frost in clay fill materials can produce significant temporary pressure increases. Clay fill should be avoided if possible. Waves and wave impact should be considered when designing cofferdams and other freestanding sheet pile structures. Mooring forces from ves- sel impact should be absorbed and distributed through fender piles or fendering material rather than taken into the backfill through the wall. Wind forces can be potentially damaging during installa- tion, but can be accounted for with temporary bracing. Earthquakes have the potential to increase active pressure and decrease passive resistance resulting in damage or destruction of retaining structures. Steel structures exhibit inherent ductility that allows those structures to deform without necessarily failing. However, a destructive earthquake changes the shearing properties of the soil. The need to consider these forces will depend on location and importance of the structure. Bulkheads should be designed for low water conditions since this will produce maximum active pressures. Any tidal effects should be included as an unbalanced head of water. Heavy rainfall, melting snow and flooding can also add sig- nificant loads on the active side of a wall. Sheet pile inter- locks eventually fill with soil and corrosion products and water does not drain freely. Design anchorage and penetra- tion for these conditions. As with all structures, safety factors are applied in design to account for loading and construction uncertainties and to provide a protective cushion against failure. When safety factors are set too high, costs go up. When set too low, the safety of the public or the service life of the structure may be in jeopardy. Bulkheads and land walls ordinarily are not critical struc- tures that will endanger life if they fail. 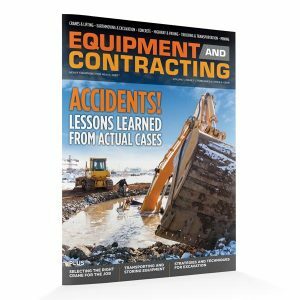 There have been few cases reported where sheet piling failed due to overstress- ing. Most bulkhead failures can be traced to failure of the anchor, displacement of the base of the wall, rotational fail- ure of a large block of soil, or failure due to corrosion dete- rioration. 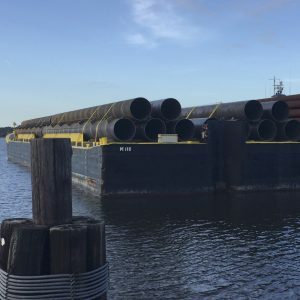 Most of these problems can be traced to events such as overdredging, overloading, undetected weak under- lying strata, poor connection details, or poor installation practice. With this in mind, generous safety factors should be applied to passive pressures or to penetration depths and to anchorage design. 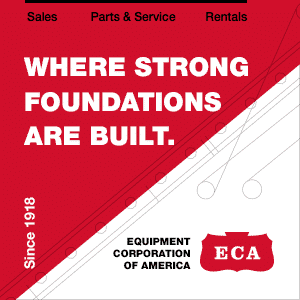 Failures of land and water cofferdams have usually been due to internal bracing failures or failure of cantilevered sec- tions of the sheet piling often soil failure at the base. These are areas where larger safety factors should be applied. The elevations of significant parts of the wall must be determined for purposes of design. 1) Elevation of the top of fill behind the wall. 2) Elevation of high and low water levels. 3) Elevation of the planned dredge depth in front of the wall. The loads applied to a wall fluctuate during its service life. Consequently, several loading conditions must be defined within the context of the primary function of the wall. As a minimum, a cooperative effort among structural, geotechnical, and hydraulic engineers should identify the load cases outlined to be considered in the design. (1) Usual conditions. The loads associated with this condi- tion are those most frequently experienced by the system in performing its primary function throughout its service life. The loads may be of a long-term sustained nature or of an intermittent, but repetitive, nature. The fundamental design of the system should be optimized for these loads. Conservative factors of safety should be employed for this condition. (2) Unusual conditions. 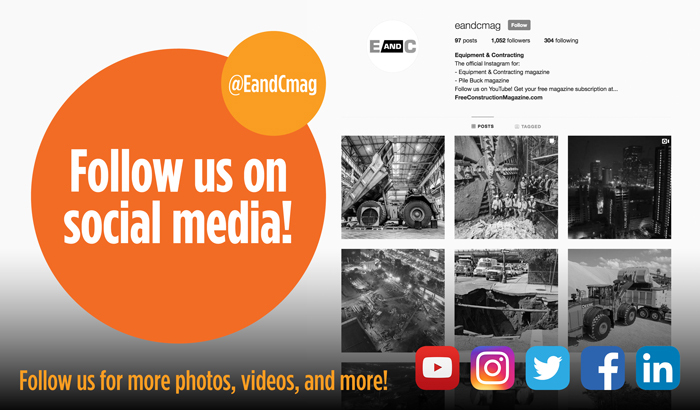 Construction and/or maintenance operations may produce loads of infrequent occurrence and are short duration, which exceed those of the usual condi- tion. 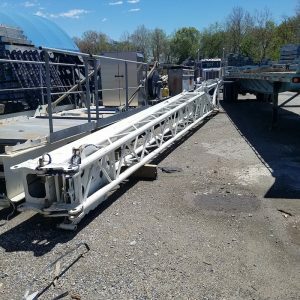 Wherever possible, the sequence of operations should be specified to limit the magnitudes and duration of load- ing, and the performance of the wall should be carefully monitored to prevent permanent damage. Lower factors of safety or higher material stresses may be used for these con- ditions with the intent that the system should experience no more than cosmetic damage. A cantilevered sheet pile wall performs somewhat like a cantilevered beam. The sheet piling is driven to a sufficient depth into the ground to become fixed as a vertical can- tilever resisting a load from active earth pressure. Walls designed as cantilevers usually undergo large lateral deflec- tions and are readily affected by scour and erosion in front of the wall. Since the lateral support for a cantilevered wall comes from passive pressure exerted on the embedded por- tion, penetration depths can be quite large, resulting in large moments and deflections. This is especially pronounced in non-ferrous sheeting such as aluminum, vinyl and fiber- glass; cantilevered walls are generally not recommended for these types of sheeting. Cantilevered walls are usually limit- ed to a maximum freestanding height of about 15 feet. Cantilever walls are usually used as floodwall or as earth retaining walls with low wall heights (10 to 15 feet or less). Because cantilever walls derive their support solely from the foundation soils, they may be installed in relatively close proximity (but not less than 1.5 times the overall length of the piling) to existing structures. Typical cantilever wall configurations are shown in Figure 9-1.